1. What is your fundraising goal? Be sure you know what you are allowed to fundraise for. Many school boards do not allow fundraising for textbooks. Knowing what you are fundraising for and the amount helps to plan a variety of activities. 2. 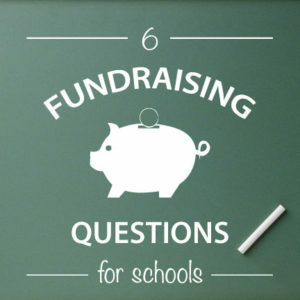 Does the fundraiser fit into school and school board policies and goals? Check with the organization’s policies. Some school boards have limited permission selling “junk” food. Other’s do not allow home baked goods. 3. Is it a community builder, service, or product fundraiser? There are many creative ways to fundraise. Most organizations plan out their year and choose a balance between a community builder (Halloween dance), service (hot lunch program or speaker) and a product fundraiser (gift wrap). There is also some fundraisers that are both a service and product fundraiser. One fantastic idea is the Fresh from the Farm fundraiser. The program promotes healthy eating for the entire family. 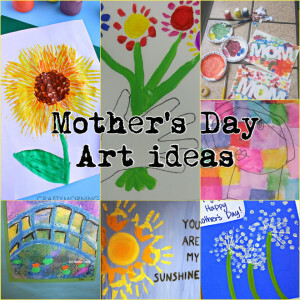 Community building events such as an art show brings the school community together. Is it open to the public? Will you need an advertising budget. 4. How many volunteers are available to help organize and run your fundraiser? What are the time commitments? The best fundraisers require the least amount of work. Community builders require a number of coordinator meetings. The more volunteers involved in a community event the better for generating spirit in an organization. Most people want to be assigned jobs during a community event and not interested in detailed meetings. Using Volunteer Spot is a great way for signing up volunteers online. 5. How much money might be raised by the fundraiser? Do you know what the average participation percentage rate and the average amount of profit is per participant. Knowing your stats will help you make informed choices. How will the money be collected? Who will collect it and is there a process of transparency? 6. Are children part of the process? When children are active participants, it sends a clear message that altruism is a worthy characteristic. However, we do not recommend children “sell” to strangers. Can the fundraiser be incorporated into the curriculum such as Jump Rope for Heart? Take these factors into consideration before you select any fundraiser for your organization. Know your group, do your research, and you will have a better chance of selecting the right fundraiser for you.